From version 3.9 Helpinator supports JavaHelp output format. 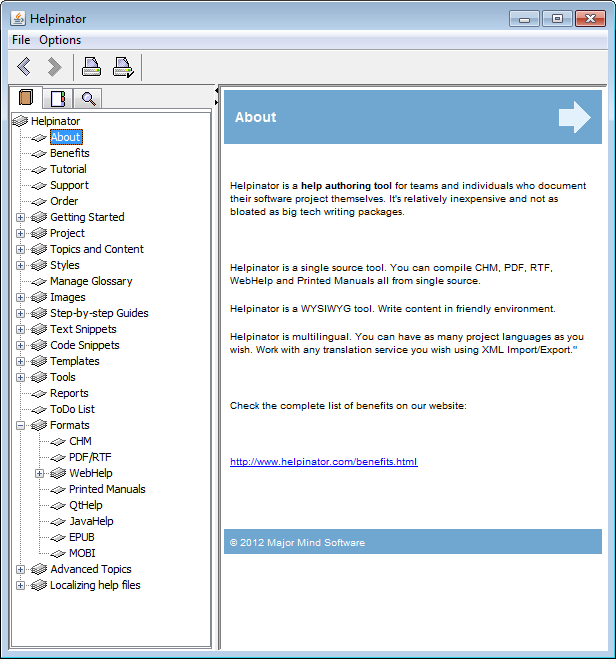 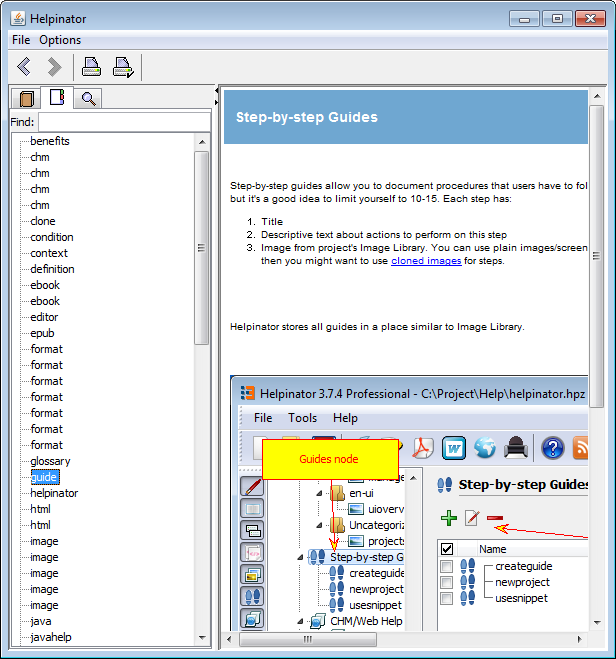 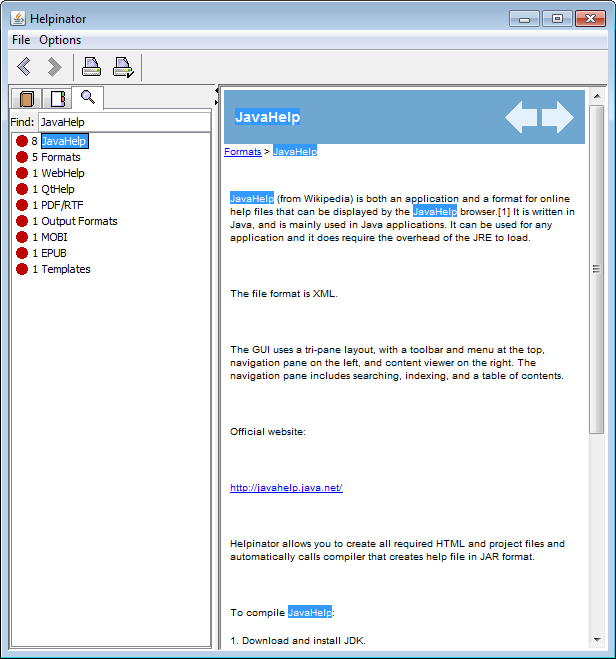 JavaHelp is a native file format (html and xml files packed as JAR file) and a set of tools that allow you to use JavaHelp in desktop and web applications written using Java. 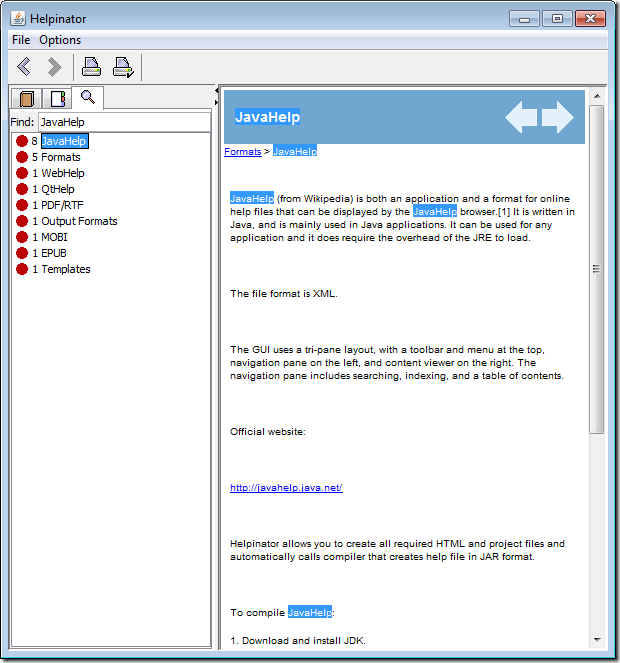 Note that JavaHelp has outdated HTML viewer so only a subset of modern HTML features is supported. 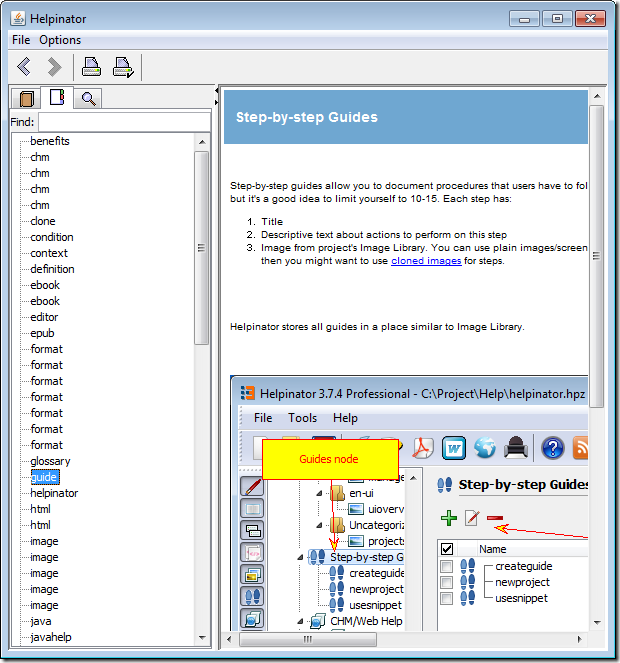 Therefore it requires it’s own HTML templates, templates for CHM/WebHelp/QtHelp are not compatible with this format. 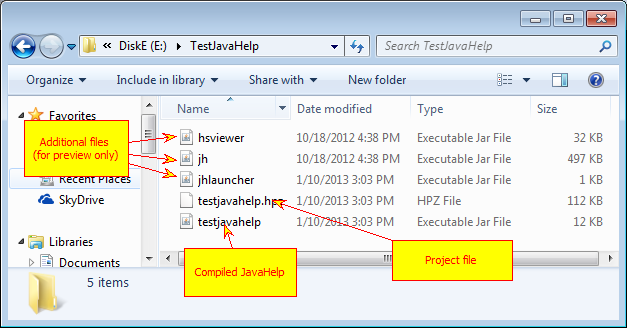 To allow you to view resulting JavaHelp file Helpinator also compiles several supplementary files from JavaHelp SDK into the target folder.